In order to meet your campus dining needs, we have designed the following meal plans for the 2019-2020 academic year. If you need to purchase a meal plan, or if you would like to make a change to the plan you have already selected, simply contact the Student Accounting Office. UAT offers an optional Meal Plan for all students. The following are prices for the per-semester meal plan. Total amounts vary depending on each student's particular dining habits, but this may serve as a guide to what you may wish to purchase throughout a semester. Dinner: 4:00 p.m. - 6:00 p.m.
UAT First Year Resident students will be required to subscribe to at least one of the above meal plans for their first calendar year. For the latest meal plan pricing and information please click here. Ordering a meal plan per semester cuts the cost of each meal purchased by $3.00 - $5.00 per meal. The unlimited-meal Grand Master plan represents the highest value to students. Eating in the cafe is convenient and healthy. A meal includes everything in hot/cold lines. Example: You may have a salad, chicken, soup and all the side dishes with beverage and have it rung up as one meal. To purchase a meal plan, visit the Intranet > My UAT > Meal Plan Order Form. Selection of a Campus Dining Services Meal Plan entitles you to a Meal Card, which allows you purchasing power equivalent to the plan you have selected. You never have to be too shy to ask for seconds with our Campus Dining Program. Our generous policy allows for a second helping of many menu favorites. All you have to do is ask! Please note: some exceptions to our Seconds Policy exist including not sharing with friends not on a meal plan. 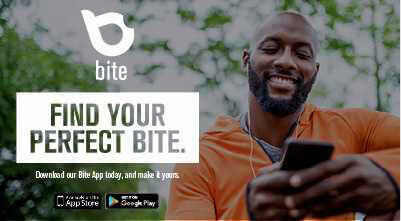 Our Bite app is all new and better than ever! Download it now to get menu previews, nutritional information and special offers. Download the app for free at bite.sodexo.com and enter our code: G4YY8. Don’t miss the opportunity to score a Microsoft® Xbox One S with 2 Flashback Classic Video Game Packs, an Atari Flashback® 7 Classic Game Console or a $200 Best Buy® gift card in the Retro Renegade Sweepstakes! 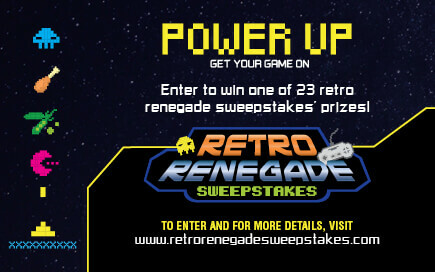 Register now for a chance to win one of these 23 great prizes at www.retrorenegadesweepstakes.com! On campuses around the country, Sodexo is committed to developing and measuring ways to reduce energy consumption and greenhouse gas emissions, conserve water, promote responsible waste management and reduce the use of toxic chemicals. Our efforts will advance new models of sustainable community development through local sourcing, use of seasonal products and sustainably grown food. Being well and eating well means becoming aware of choices and making the right decisions to achieve a better today and a better tomorrow. Your Sodexo dining team is committed to offering you a wide range of options for a healthy dining experience. From recipes that include the most nutritious mix of ingredients to offering educational resources for positive lifestyle habits, healthy options are the result of a team dedicated to advancing the well-being of the entire campus community. Check out mindful.sodexo.com for more information on our program and for recipes you can try at home! We are excited to provide you with catering options designed to assist you in planning your event. From a formal dinner to meeting break refreshments, we will offer creative menus, elegant presentations, and thoughtful service to provide your guests with a memorable dining experience. To plan your next event, or for further assistance, please contact your Mari England, General Manager at (602) 383-8291 or email at mari.england@sodexo.com. When you visit Gift University, you're enrolling in the "school" of gift-giving run by a faculty of true gourmet, floral, plant and gift experts. Powered by 1-800-FLOWERS.COM®, Gift University was founded in partnership with Sodexo as a way to send great gifts for any occasion, from birthdays and anniversaries to exams and special holidays. Both parents and students can enjoy sending and receiving care packages, tasty snacks, "just because" surprises and much more! It's exciting -- and incredibly easy -- to delight family members, friends on campus, or anyone else you're thinking of with something sensational from our extraordinary gift collection. Click the banner below to view and order gift packages! If you’d like to earn income while on campus, a job at UAT’s Campus Café may be just what you are looking for! Flexible hours, competitive wages and the benefits of working on campus are just a few of the perks. You’ll meet a lot of people too! Interested applicants may request an application anytime at the Café.